No need to look elsewhere, you’ll find the best vendors in Kentucky right here. VOLUME 11, ISSUE 1 IS ON NEWSSTANDS NOW. 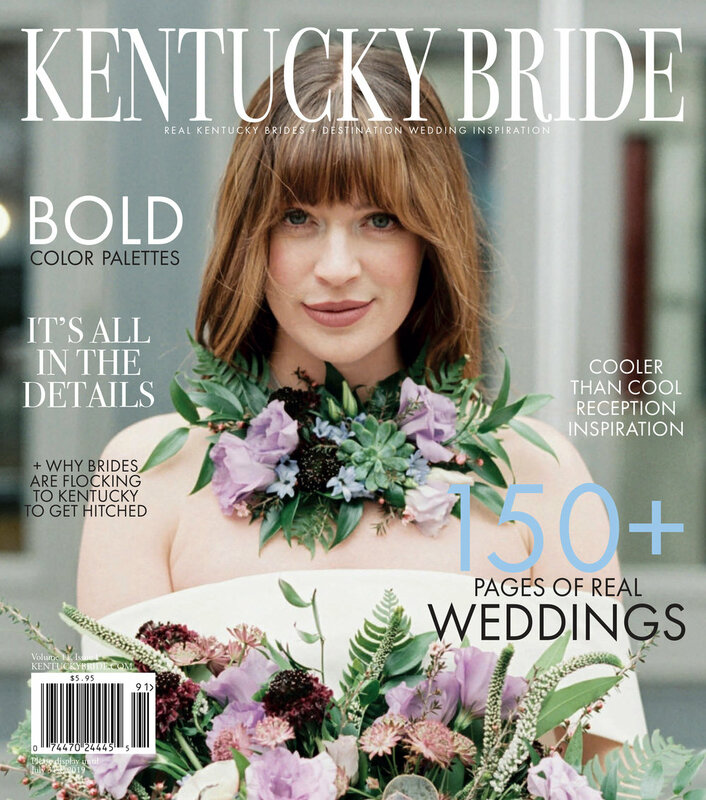 Submit to Kentucky Bride f0r the chance to be featured in our print publication or on our blog. We're always looking for the next big thing. Kentucky Bride is always looking for inspiration. We love featuring shoots that showcase the creatives we have in our beautiful state. Follow us on Instagram and use #mykentuckybride for the chance to be featured. We strive to bring the freshest wedding trends to our Kentucky Bride readers.